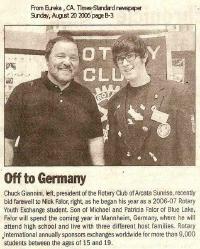 Nick Falor's Exchange trip to Germany for 2006-2007. 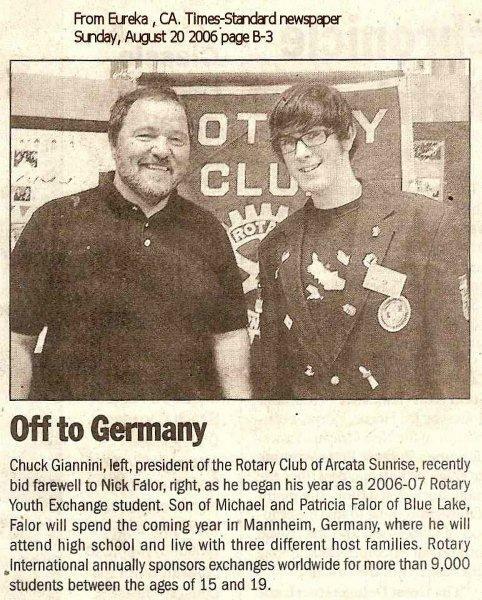 Chuck Giannini, left, President of the Rotary Club of Arcata Sunrise, recently bid farewell to Nick Falor, right , as he began his year as a 2006-07 Rotary Youth Exchange Student. Son of Michael ad Patricia Falor of Blue Lake, Falor will spend the coming year in Mannheim, Germany, where he will attend high school and live with three different host families. 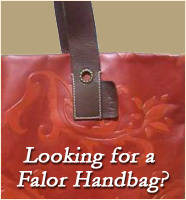 Rotary International annually sponsors exchanges worldwide for more than 9,000 students between the ages of 15 and 19."